Your energetic tennis star will love this lightweight and sporty watch with a themed print on the flexible rubber strap. 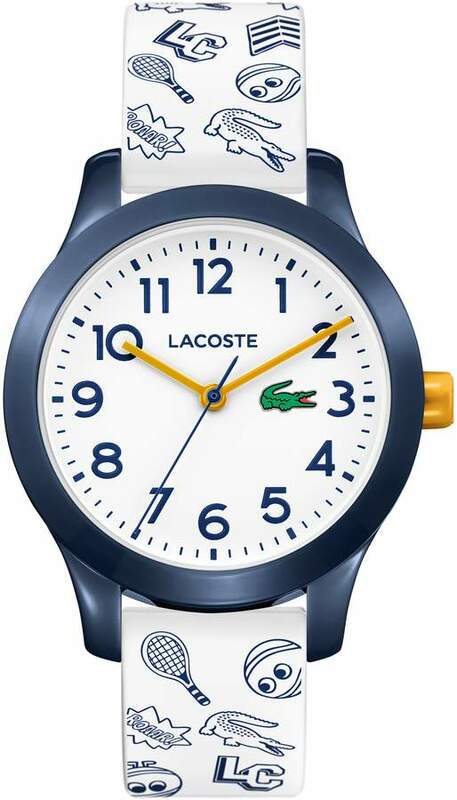 Style Name:Lacoste 12.12 Rubber Strap Watch, 32Mm (Kids). Style Number: 5704544_5. Available in stores.